Newtec’s Dialog® VSAT multi-service platform has been selected by broadband satellite operator, Kacific, for that firm’s new, High Throughput Satellite, to significantly expand that firm’s broadband service delivery in underserved areas of South East Asia, New Zealand and the Pacific Island. 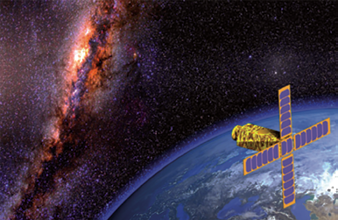 Artistic rendition of the Kacific1 satellite. Image is courtesy of Kacific. The initial contract is for $10 million of Newtec Dialog hubs and this is expected to result in further terminal procurements totaling several million units during the first years of service. and governments throughout the region, with Newtec’s Mx-DMA® (www.newtec.eu/technology/mx-dma ) return technology providing the highest bandwidth efficiency. 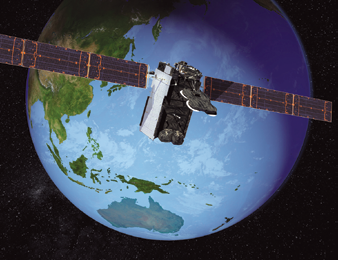 The Kacific1 satellite features 56 high power subscriber spot beams, each with the capability to provide targeted capacity at high speeds. Kacific services enable access to high demand applications, such as community internet access and mobile backhaul, that will help stimulate socio-economic activity throughout the region. Public institutions will benefit from dedicated services including healthcare, education and civil defense, in areas that are beyond the economical reach of terrestrial infrastructures in most of Kacific’s coverage areas. Kacific was recently presented with the SSPI Better Satellite World award for its focus on connecting underserved populations. 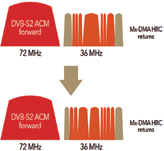 Newtec’s next-generation Mx-DMA return technology incorporates the best features of MF-TDMA and SCPC technologies to provide dynamic bandwidth allocation with the highest level of efficiency. 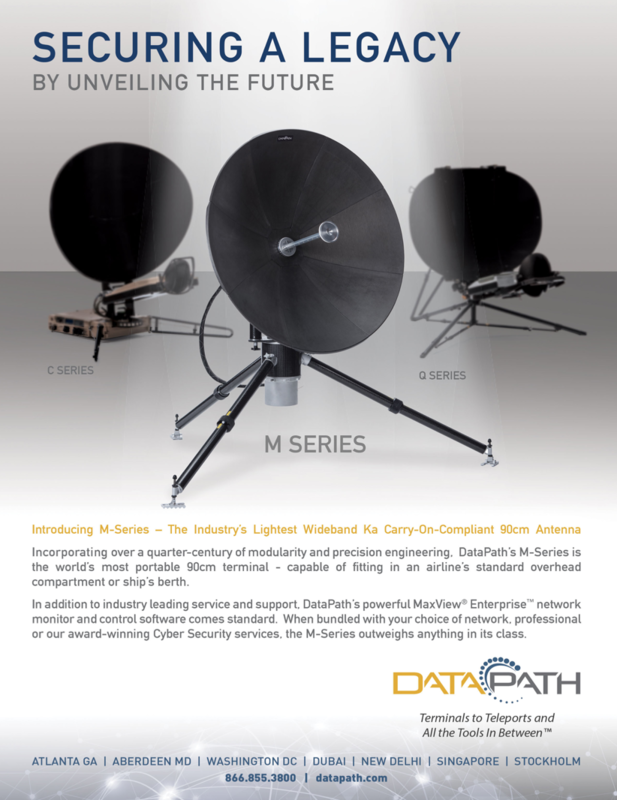 Mx-DMA return technology on the Newtec Dialog platform uniquely adjusts the frequency plan, the symbol rate, the modulation, coding and power in real-time for every terminal in the satellite network in response to traffic demand and Quality of Service (QoS) changes. Christian Patouraux, CEO and Founder of Kacific, said the Kacific HUB, based on the Newtec Dialog multi-service platform, is a pivotal part of the satellite network. The company selected Newtec because the firm demonstrates the highest performance and ability to offer the highest link efficiencies that are required for Kacific’s Ka-band spot beam system. Patouraux noted that the company also been impressed with other unique features offered by Newtec, such as the Satellite Network Calculator, which enables the company to tailor new services in a highly efficient and fast-to-market manner, which will only help ensure the reliability and enhance the quality of Kacific services to customers. Thomas Van den Driessche, CEO at Newtec, added that in partnering with Kacific, the company is strengthening the firm’s presence in South East Asia and the Pacific. This project bridges the digital divide to people in regions that have never before had access. Among many other features, Newtec’s Satellite Network Calculator has an acute ability to provide valuable insight into the performance of the network. He continued by saying that the product use in a multi-beam satellite network such as this will allow Kacific to harness these insights to optimize future deployments and add value for their regional partners and customers. 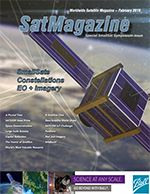 Artistic rendition of the EyeSat smallsat. Image is courtesy of CNES. 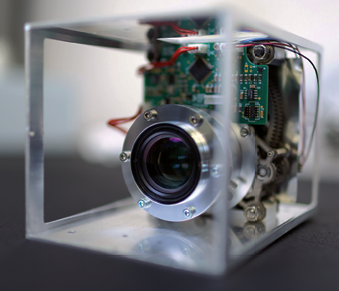 Photo of the IRIS telescape for the EyeSat mission. Photo is courtesy of CNES. A liftoff and the Iridium-8 mission’s 10 satellites are on their way to LEO, courtesy of the SpaceX Falcon 9. This is the eighth, and final, set of 10 satellites in a series of 75 total satellites that SpaceX has now launched for Iridium’s next generation global satellite constellation, Iridium® NEXT. Separation has been confirmed and the Falcon 9 also successfully touch downed on the “Just Read the Instructions” droneship stationed in the Pacific Ocean. To mark the cooperative effort of the companies Matthew Desch, CEO and Director of Iridium, gave the 10 second countdown for the liftoff. Falcon 9’s first stage for the Iridium-8 mission previously supported the Telstar 18 VANTAGE mission in September 2018. Iridium is deploying 75 satellites to orbit. In total, 81 satellites are being built, with 66 in the operational constellation, nine serving as on-orbit spares and six as ground spares. Iridium’s satellite communications network spans the entire globe and Iridium NEXT is one of the largest “tech upgrades” in space history. The process of replacing the satellites one by one in a constellation of this size and scale has never been completed before. The new constellation is enabling innovative new products and services including Iridium CertusSM, the company’s next-generation L-band broadband solution for specialized applications, like safety services, remote monitoring, UAV and UAS command and control, tracking, and more. Also hosted is the AireonSM system, which will — for the first time — deliver real-time, truly global aircraft surveillance and tracking. SpaceX’s Space Launch Complex 4E at Vandenberg Air Force Base has a long history of launches, dating back to the early 1960s. Originally an Atlas launch pad activated in 1962, SLC-4E was in active use until the last Titan IV launch in 2005. SpaceX’s groundbreaking was in July 2011, and extensive modifications and reconstruction of the launch pad were completed just 17 months later. SLC-4E consists of a concrete launch pad/apron and a flame exhaust duct. Surrounding the pad are RP- 1 and liquid oxygen storage tanks and an integration hangar. Before launch, Falcon 9’s stages, fairing and the mission payload are housed inside the hangar. A crane/lift system moved Falcon 9 into a transporter erector system and the fairing and its payload were mated to the rocket. The vehicle rolled from the hangar to the launch pad shortly before launch to minimize exposure to the elements. The last batch of Iridium® NEXT satellites, built by Thales Alenia Space, the joint company between Thales (67%) and Leonardo (33%), was successfully launched on January 11 from Vandenberg Air Force Base in California. With this successful eighth launch, the Iridium NEXT fleet is now fully deployed to LEO. The operational constellation comprises 66 satellites, at an altitude of about 780 kilometers, organized in six orbital planes, each containing 11 satellites, plus nine spare satellites in a parking orbit and six more ground spares. The major challenge for Thales Alenia Space, as prime contractor for the Iridium® NEXT program, was to deploy a complex, end-to-end turnkey satellite system, while also ensuring compatibility between the old and new generations of Iridium Block One satellites. This marks the first time that an operator and a manufacturer have worked hand-in-hand to replace a complete constellation of 66 satellites, one-by-one, without any interruption in user service*. The Iridium® NEXT constellation, now completely on orbit, represents the current state-of-the-art in terms of technology and flexibility. The constellation features global coverage and independence from the ground segment, as each satellite is linked to the four closest satellites: in front, behind, to the left and the right. No matter where users are on Earth, they will always be in the line-of-sight of at least one satellite, meaning that they can always establish a connection. 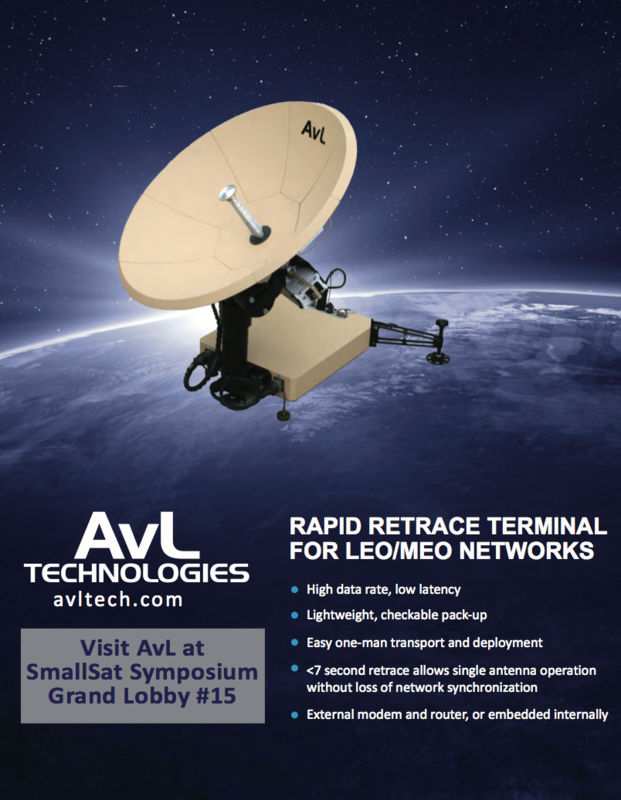 This direct satellite access, whether for transmission or reception, provides communication capability at any given moment, even in the case of natural disasters, conflicts, or in isolated environments. It also ensures secure communications, with protection against intrusion and piracy**. Denis Allard, VP Constellation Projects at Thales Alenia Space, said that the company is extremely proud of this successful last launch. The company has now delivered a constellation comprising 81 satellites — a daunting challenge, but one that the company’s teams met with panache. The success of this program also confirms Thales Alenia Space’s global leadership in the constellation market, and further bolsters the company’s unrivaled expertise as prime contractor for end-to-end and turnkey complex telecommunications systems. Thales Alenia Space handled satellite positioning and in-orbit testing from Iridium’s satellite control center in Leesburg, Virginia, near Washington, D.C. The satellites are launched in clusters of ten and, given their LEO orbit, ground stations have only ten minutes per orbit to send commands while the satellites are visible. This means that all teams had to be exceptionally well prepared and on top of their game to do everything needed during thoseten minutes. Each Iridium® NEXT satellite is fitted with a star sensor from Leonardo that guarantees orbital position-determination and control. The satellites were previously integrated by Northrop Grumman Corporation (the former Orbital ATK), a subcontractor to Thales Alenia Space based in Gilbert, Arizona, supervised by specialized teams from Thales Alenia Space and Iridium. 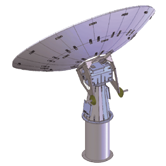 Each satellite has links to the four other closest satellites, in front, behind, left and right, making the service completely independent from ground networks. This in-orbit routing is completely software-driven by an onboard processor (OBP) and a platform computer (PFC). These software programs are the most sophisticated used to date on a constellation of satellites. They can also be uploaded from the ground, meaning that ground operators can send updates if needed, as well as deploy higher-performance versions, enabling Iridium to expand and enhance its customer services. 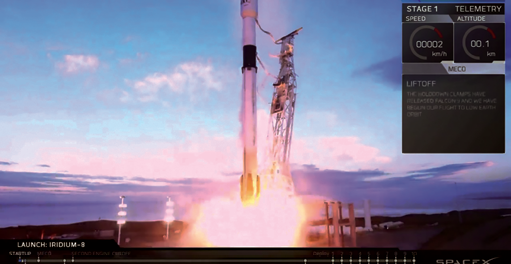 Aireon’s space-based Automatic Dependent Surveillance-Broadcast (ADS-B) payload was successfully deployed during the eighth and final launch and positioning of the Iridium NEXT satellite constellation — at 7:31:33 AM PST (15:31:33 UTC) on January 11, a SpaceX Falcon 9 rocket lifted off from Vandenberg Air Force Base in California and placed the final 10 Iridium NEXT satellites into LEO. This launch brought the total number of Aireon payloads in orbit to 75 (66 operational payloads and 9 spares), completing the historic launch program and passing one of the last remaining milestones before Aireon ushers in a new era of global air traffic surveillance and aircraft tracking. Aireon is the world’s first, 100 percent global air traffic surveillance system and is revolutionizing the way the world travels with space-based technology. 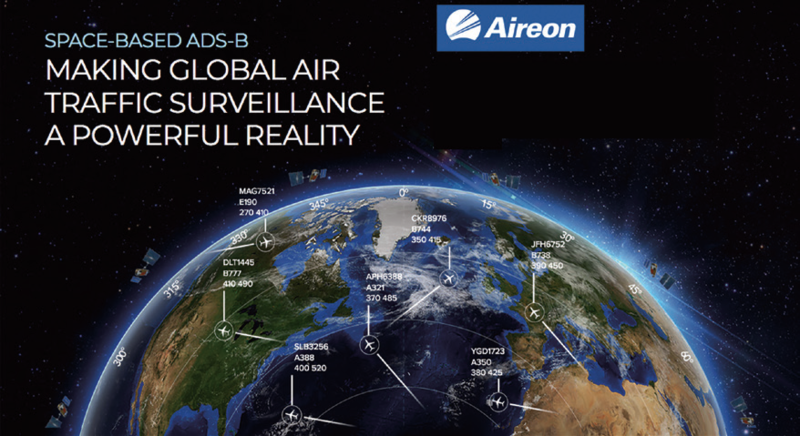 Unlike existing aircraft surveillance and tracking infrastructure, the Aireon system uses space-based ADS-B technology, which enables the automatic and real-time collection of aircraft position data. The Aireon technology gives air traffic controllers and airlines a complete and comprehensive view of the entire sky, like never before. With this upgraded insight into the world’s flight paths, including those in remote and oceanic airspace, the entire industry will experience significant direct and indirect benefits such as, increased safety, more efficient flight routes, more accurate arrival and departure predictions, faster emergency response times, reduced aircraft separation, a decrease in CO2 emissions and more. Thus far, the Aireon system has out-performed all predictions and is processing more than 13 billion ADS-B messages per month, with that number expected to grow upon full deployment. Air traffic controllers rely on the best and most accurate surveillance data possible to separate aircraft, which is often achieved through multiple redundant layers. Aireon’s data will provide air traffic controllers with a fully redundant data feed that covers the entire airspace, increasing the availability and reliability of a critical component in air traffic management, with a positive impact on safety and efficiency. This will in turn, help improve flight optimization by eliminating gaps in fleet data reports, and ultimately enhance the overall safety, accuracy and efficiency of worldwide air travel. This launch marks the completion of the Iridium NEXT launch campaign, successfully deploying the full Aireon system. Don Thoma, the CEO of Aireon, said that the company has passed a major milestone on the firms journey to revolutionize air traffic surveillance and the company is just weeks away from a fully operational system. Now that the launches are complete, final integration and testing of the recently launched payloads can commence, after which the world’s first, real-time, truly global view of air traffic will be a reality. It’s difficult to contain the excitement until all is formally operational, especially as from a performance standpoint, the company’s technology has far exceeded expectations. Many may think this is the end of a journey, being the last Iridium NEXT launch; however, for Aireon, this is the start of a new way air traffic will be managed. Radeus Labs, Inc. has released a new antenna control system to address the growing smallsat/LEO/MEO market. AZEL pedestal box frame (SERVO). The Model 2200 Antenna Control System is designed with a feature set to support full motion, LEO and MEO antenna applications. With velocity control of smart motors, antenna speeds well beyond ten degrees per second are supported. 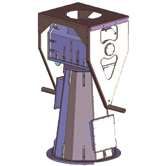 When coupled with the 2048 Drive Interface, the 2200 is designed for and interfaces seamlessly with M2 Antenna System’s latest full-motion pedestal design, the AE-2000S. The 2200 covers the smallsat bases to the existing infrastructure of GEOs. Radeus Labs control system products are designed to be easy to install, easy to use and with an eye to extending the life of mechanical system components. The 2200 is commercially released and available for delivery. Ken Cone, CTO of Radeus Labs, said the company is extremely pleased to introduce the 2200 line of antenna control systems. 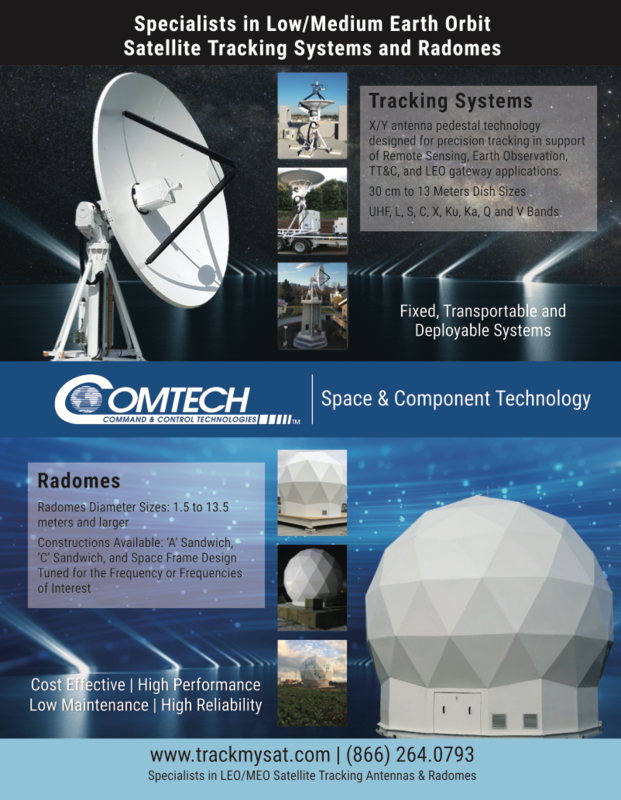 With this product line, Radeus Labs is increasing the firm’s technological capabilities to serve the increasing needs of SATCOM customers. Thales Alenia Space has received a vote of confidence with their most recent contract from the European Space Agency (ESA) to lead the Fluorescence Explorer (FLEX) satellite mission. 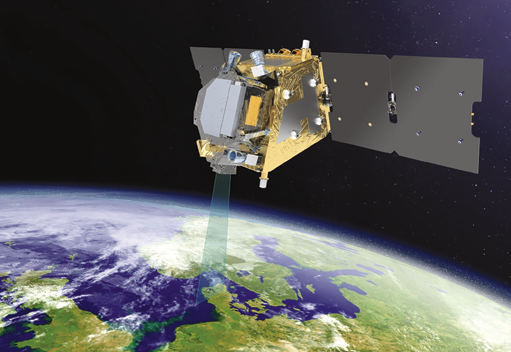 Thales Alenia Space signed a contract with the European Space Agency (ESA) to lead the Fluorescence Explorer (FLEX) satellite mission, and is scheduled for launch in 2023. It will make use of an innovative instrument, named FLORIS, to map the Earth’s vegetation fluorescence to quantify photosynthetic activity. 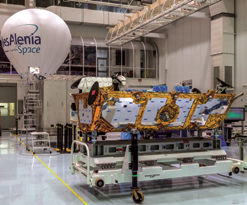 Thales Alenia Space is program prime contractor and has also signed a novation agreement to integrate the contract that ESA awarded to Leonardo in 2016 concerning the development of the FLORIS instrument. The overall contract is worth approximately 150 million euros. Thales Alenia Space will be leading a consortium for the FLEX program that includes its own subsidiaries and partners from the space industry. Thales Alenia Space in the UK will be in charge of the satellite propulsion system, as well as assembly, integration and testing (AIT). 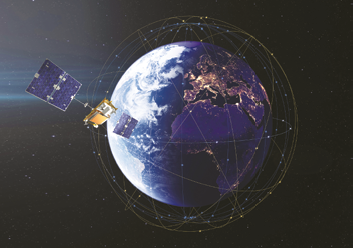 Thales Alenia Space in Spain will provide the radio-frequency subsystem, including X-band and S-band transponders, and RUAG will contribute to the design and production of the platform. Leonardo’s FLORIS instrument is a high-resolution imaging spectrometer operating in the 500 to 880 nm spectral range. Leonardo is leading a consortium of European companies, including primary partner OHB System AG, to deliver the spectrometer. Operating from an altitude of 800 kilometers, the FLEX instrument will collect the light emitted by plants and break it down into its constituent colors. The sensor can then identify the faint reddish glow emitted during photosynthesis, normally invisible to the naked eye, and precisely identify the fluorescence of vegetation, allowing researchers to evaluate the health of Earth’s ecosystem. Marc Henri Serre, head of the Observation and Science domain at Thales Alenia Space in France, said that this contract is the culmination of Thales Alenia Space’s development strategy in Europe, including their ability to submit the first full consortium offer for ESA that integrates the industry consortium very early in the process. The conversion of atmospheric carbon dioxide and sunlight into energy-rich carbohydrates through photosynthesis is one of the most fundamental processes on Earth — and one on which life depends. Information from FLEX will improve the understanding of how carbon moves between plants and the atmosphere and how photosynthesis affects the carbon and water cycles. In addition, information from FLEX will give a better insight into plant health. This is especially important today since the Earth’s growing population is placing increasing demands on the production of food and animal feed. FLEX is to be orbited by an Arianespace Vega light launcher and will be placed in a Sun-Synchronous Orbit (SSO) at an altitude of 815 km., with an expected latency of 24 hours for Level-1 products.